First off the big (and somewhat late) news is that 4-Mat is no longer a member of Cosine; Matt decided that he wanted to explore new avenues and that, with his very busy work schedule he couldn't devote enough time to the group. We'd all like to wish him the best with everything and say that the door is always open should he feel like returning to the fold. 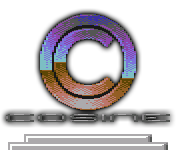 As a farewell, he's sent a revised version of his last product for Cosine - Bah! Bah! on the VIC has been modified to correct a small error that only occurs in WinVICE and not on the real hardware, because we're that thorough!